The search for a sacred scroll is put on hold when Sam and Remi Fargo learn that a shipment of supplies intended for their charitable foundation’s school has been stolen, and they travel to Nigeria to deliver new supplies themselves. Their mission becomes more complicated when they run into a band of robbers who take Remi and several students hostage, and there are signs that the kidnapping is related to the missing scroll. The Fargos need all their skills to save the lives of the young girls at the school before they uncover the hidden treasure. . . and lift the deadly curse. A young woman has gone missing in Silicon Valley and her father has hired Colter Shaw to find her. The son of a survivalist family, Shaw is an expert tracker. Now he makes a living as a “reward seeker,” traveling the country to help police solve crimes and private citizens locate missing persons. But what seems a simple investigation quickly thrusts him into the dark heart of America’s tech hub and the cutthroat billion-dollar video-gaming industry. Chicago celebrity and pitchman Charles James is supposed to be dead. Everyone believes he was killed in a fiery plane crash, a flight he narrowly missed, and now he’s ready for a second chance at life and love. Escaping death has brought Charles some clarity: the money, the fame, the expensive cars; none of it brought him true joy or peace. The last time he was truly happy was when he was married to his ex-wife Monica, before their relationship was destroyed by his ambition and greed. Charles is on a pilgrimage across Route 66, and he intends to finish his trek from Amarillo to Santa Monica, despite learning that his ex-wife is now engaged. With the initial reason for his trip in jeopardy, he still has lessons to learn along the way before he discovers–and arrives at–his true destination. Jane Hawk is on a quest to take down the influential architects of an accelerating operation to control every level of society via an army of mind-altered citizens. At first, only Jane stood against the “Arcadian” conspirators, but slowly others have emerged to stand with her, even as there are troubling signs that the “adjusted” people are beginning to spin viciously out of control. Now, in the showdown that will decide America’s future, Jane will require all her resources as she confronts those at the malevolent, impregnable center of power. When lawyer Lizzie Fox’s husband, Cosmo Cricket, is left critically injured after being shot by an unknown assailant, the men of BOLO Consultants head straight for Las Vegas to comfort Lizzie—and to uncover a dangerous enemy in the City of Sin. An unconventional woman and a man shrouded in mystery walk a tightrope of desire as they race against a killer to find a top secret invention before it’s too late. Half Finished, by Lorraine Snelling. Coming March, 2019. Recognizing how common it is for crafters to start many projects and finish few, a group of women join together to form a guild-Unfinished Projects Anonymous-to keep each other on track and accountable. Three of the friends are tasked with the job of home visits for their guild. “The Cartel” snoops around craft rooms and knitting baskets to report on progress for the members. As life unexpectedly changes for one of the members, this ensemble of women discovers that much of life is half-finished-projects – and that may be perfectly fine. As a young intern at an art gallery in Paris, Isabelle McAvoy meets Putnam Armstrong, wealthy, gentle, older, and secluded from the world. Isabelle’s relationship with Putnam is the stuff of dreams, but it turns real when she becomes pregnant, for she knows that marriage is out of the question. When Isabelle returns to New York, she enters a new relationship she hopes will be more stable and traditional. She soon realizes she has made a terrible mistake and again finds herself a single mother. With two young daughters and no husband, Isabelle finally finds happiness and a love that gives her a third child, a baby as happy as her beloved father. And yet, once again, life brings dramatic changes. The three girls grow up to be very different women, and Isabelle’s relationship with each of them is unique. One final turn of fate brings a past secret to light, bonds mother and daughters closer, and turns a challenge into a blessing. A Justified Murder, by Jude Deveraux. Chocolate Cream Pie Murder, by Joanne Fluke. When The Cookie Jar becomes the setting of a TV special about movies filmed in Minnesota, Hannah hopes to shine the spotlight on her bakery-not the scandal surrounding her personal life. But that’s practically impossible with a visit from the shifty character she once believed was her one and only love, a group of bodyguards following her every move, and a murder victim in her bedroom. Now, swapping the crime scene in her condo for her mother Delores’s penthouse, Hannah and an old flame team up to solve a case that’s messier than an upended chocolate cream pie. The Wedding Guest, by Jonathan Kellerman. LAPD Lieutenant Milo Sturgis is a fine homicide detective, but when he needs to get into the mind of a killer, he leans on the expertise of his best friend, psychologist Dr. Alex Delaware. Summoned to a run-down former strip joint, Delaware and Sturgis find themselves crashing a wild Saints and Sinners-themed wedding reception where a bridesmaid has discovered the body of a young woman. What’s missing is any identification, or a single party goer who recognizes the victim. Delaware and Sturgis have a hundred guests to question, and a sneaking suspicion that the motive for murder is personal. The party’s over–and the hunt for whoever killed it is on. California Girls, by Susan Mallery. Finola, a popular LA morning show host, is famously upbeat until she’s blindsided on live TV by news that her husband is sleeping with a young pop sensation. She’s desperate for him to come to his senses and for life to go back to normal. Zennie’s breakup is no big loss. Although the world insists she pair up, she’d rather be surfing. So agreeing to be the surrogate for her best friend is a no-brainer, except, being pregnant is a lot lonelier–and more complicated–than she imagined. Ali is used to being overlooked, but when her fiancé sends his disapproving brother to call off the wedding, it’s a new low. And yet Daniel continues to turn up “for support,” making Ali wonder if maybe–for once–someone sees her in a way no one ever has. These sisters will start over and rebuild their lives with affection, charm and laugh-out-loud humor. Killer Instinct, by James Patterson. The murder of an Ivy League professor pulls Dr. Dylan Reinhart out of his ivory tower and onto the streets of New York, where he reunited with his old partner, Detective Elizabeth Needham. As the worst act of terror since 9/11 strikes the city, a name on the casualty list rocks Dylan’s world. Is his secret past about to be brought to light? Dylan literally wrote the book on the psychology of murder, and he and Elizabeth have solved cases that have baffled conventional detectives. But the sociopath they’re facing this time is the opposite of a textbook case. There’s no time to study for the test he’s about to give them. And if they fail, they die. Connections in Death, by J. D. Robb. Pandemic, by Robin Cook. Coming December, 2018. When an unidentified young woman collapses suddenly on the New York City subway and dies upon reaching the hospital, medical examiner Jack Stapleton is fearful of a repeat of the 1918 flu pandemic. The facts don’t add up to influenza, and Jack gets drawn into the dark underbelly of the organ transplant market. Jack will come face-to-face with a megalomaniacal businessman willing to risk human lives in order to conquer a lucrative new frontier in medicine–and if he’s not careful, the next life lost might be his own. Enemy of My Enemy, by W.E.B. Griffin. Coming December, 2018. Special agent James Cronley Jr. finds that fighting both ex-Nazis and the Soviet NKGB can lead to strange bedfellows in the new Clandestine Operations novel about the birth of the CIA and the Cold War. Cronley is fast finding out that the phrase “the enemy of my enemy is my friend” can mean a lot of different things, and that it is not always clear which people he can trust and which are out to kill him. The Boy, by Tami Hoag. Coming December, 2018. 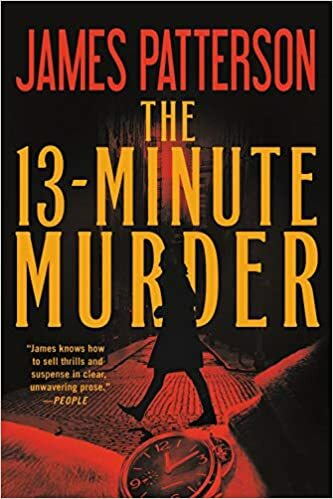 When Detective Nick Fourcade enters the home of Genevieve Gauthier, the bloody crime scene that awaits him is both the most brutal and the most confusing he’s ever seen. Genevieve’s seven-year-old son has been murdered by an alleged intruder, yet Genevieve is alive and well, a witness left behind to tell the tale. Then fingerprints at the scene change everything when they come back to a convicted criminal: Genevieve herself. Could she have killed her own child to free herself of the burden of motherhood, or is the loss of her beloved boy pushing her to the edge of insanity? Of Blood and Bone, by Nora Roberts. Coming December, 2018. Fallon Swift, approaching her thirteenth birthday, barely knows the world that existed before–the city where her parents lived is now in ruins and reclaimed by nature since the Doom sickened and killed billions. Those like her, in possession of gifts, are hunted–and the time is coming when her identity as The One can no longer be hidden. In a mysterious shelter in the forest, her training is about to begin. She will learn the old ways of healing; study and spar; encounter faeries and elves and shifters; and when the time is right, she will take up the sword, and fight. For until she grows into the woman she was born to be, the world outside will never be whole again. A Season of Grace, by Lauraine Snelling. Coming November, 2018. In 1910 Minnesota, Nilda Carlson’s dreams are coming true. She moved from Norway and everything is going right. The only thing missing from Nilda’s life is love. But though she has two suitors, Nilda feels hesitant. A terrifying experience in Norway has made her cautious where men are concerned. When she thinks she sees the man in question, all her fears come flooding back. Is it possible the danger has followed her across the Atlantic? If Dreng Nygaard is truly in Minnesota, all of her dreams for the future could come crashing down around her. A Delicate Touch, by Stuart Woods. Coming December, 2018. When an old acquaintance reaches out to Stone Barrington requesting assistance, the job seems easy enough. She needs an expert to solve a puzzle. But the solution to a small problem blows the lid open on a bigger scandal going back decades, and involving numerous prominent New Yorkers who would prefer the past stay buried. When it comes to Stone Barrington, danger is usually just around the corner . . . so he may as well throw caution to the wind. Long Road to Mercy, by David Baldacci. November, 2018. Master of His Fate, by Barbara Taylor Bradford. November, 2018. Victorian England is a country of sharp divides between rich and poor, but James Lionel Falconer, who works at his father’s market stall, is determined to become a merchant prince. He quickly rises through the ranks, proving himself both hardworking and trustworthy, and catching the eye of the head of the most prestigious shipping company in London. But when threats against his reputation – and his life – begin to emerge, James will have to prove that he truly is the master of his fate. The Christmas Prayer, by Wanda Brunstetter. September, 2018. Cynthia Cooper is traveling cross-country by wagon with her mother and the man she has promised to marry. But as Christmas is upon them and they are hunkered down in a small cabin, she is forced to reevaluate her reasons for planning to marry Walter Prentice. 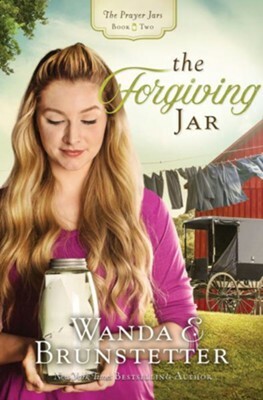 When a widowed father and a gold prospector both show an interest in Cynthia, she weighs her dreams for marriage alongside her responsibility to care for her mother. Can love win over her timid heart? Past Tense, by Lee Child. November, 2018. Jack Reacher plans to go on an epic trip across America, but he doesn’t get far. On a country road in the New England woods, he sees a sign to the town where his father was born and he takes the detour. At the same moment, in the same isolated area, a car breaks down with two young Canadians on their way to New York City to sell a treasure. As Reacher explores his father’s life, and as the Canadians face lethal dangers, strands of different stories begin to merge. Then Reacher makes a shocking discovery: The present can be tough, but the past can be tense . . . and deadly. You Don’t Own Me, by Mary Higgins Clark. November, 2018. Television producer Laurie Moran will stop at nothing to solve the murder of a celebrity doctor–even as she finds herself in grave danger as a mysterious stalker plots his next move. Sea of Greed, by Clive Cussler. November, 2018. After an explosion in the Gulf of Mexico destroys three oil rigs trying to revive a dying field, the NUMA Team is tapped by POTUS to find out what’s gone wrong. The trail leads them to a brilliant billionaire in the alternative energy field, and her goal is the end of the oil age. The NUMA crew discovers that the oil fields are infected with bacteria that are consuming the oil before it can be pumped out of the earth–a bacteria originally lost decades ago when two submarines vanished in the Mediterranean. Can the biological terror that’s been unleashed be stopped? Look Alive Twenty-Five, by Janet Evanovich. November, 2018. There’s nothing like a good deli, and the Red River Deli in Trenton is one of the best. World-famous for its pastrami, cole slaw, and disappearing managers. Over the last month, three have vanished, and the only clue in each case is one shoe that’s been left behind. The police are baffled. Lula is convinced it’s a case of alien abduction. Whatever it is, they’d better figure out what’s going on before they lose their new manager, Ms. Stephanie Plum. The Noel Stranger, by Richard Paul Evans. November, 2018. Maggie Walther feels publicly humiliated after her husband is arrested for bigamy, and she has isolated herself from the world. When her friend insists she embrace the season to get her out of her funk, Maggie decides to put up a Christmas tree. She is taken by Andrew, the man who owns the Christmas tree lot and delivers her tree. Maggie begins to trust again, but just when she thinks she has finally found happiness, she discovers a dark secret from Andrew’s past. Is there more to this stranger’s truth than meets the eye? When We Were Young, by Karen Kingsbury. October, 2018. Noah’s obsession with social media has meant he and Emily’s fairytale life was well documented, but it has also ruined everything. Emily reaches out to a friend and tells her that they’re calling it quits and Noah is leaving in the morning. When Noah wakes the next day, he’s like Scrooge in A Christmas Carol. Emily is gone, the kids are older, and bizarre and strange events continue throughout the night so that Noah is certain he’s twenty years older, and he is desperate for a second chance. Now it would take a miracle to return to yesterday. Nine Perfect Strangers, by Liane Moriarty. November, 2018. Target, by James Patterson. November, 2018. A leader has fallen, and Alex Cross joins the procession of mourners from Capitol Hill to the White House. Then a sniper’s bullet strikes a target in the heart of DC. Alex Cross’s wife, newly elevated chief of DC detectives must solve the case or lose her position, and Alex is to lead an investigation unprecedented in scale and scope. But is the sniper’s strike only the beginning of a larger attack on the nation? Kingdom of the Blind, by Louise Penny. November, 2018. When a peculiar letter arrives inviting Armand Gamache to an abandoned farmhouse, he discovers that a complete stranger has named him and two others the executors of her will. The will is so odd they suspect the woman must have been delusional. When a body is found, the terms of the bizarre will suddenly seem less peculiar and far more menacing. A Christmas Revelation, by Anne Perry. November, 2018. Formerly a river urchin living on the banks of the Thames, nine-year-old Worm has never experienced a family Christmas. But he’s found a makeshift family in kindly Miss Claudine Burroughs and curmudgeonly Squeaky Robinson. When Worm witnesses the abduction of a woman just days before Christmas, he turns to Squeaky for help. The aid of Squeaky and Worm just might make the difference between a triumph over evil and a yuletide tragedy. Beauchamp Hall, by Danielle Steel. November, 2018. Winona Farmington once dreamed of graduating from college, moving to New York City, and pursuing a career in publishing. Then real life got in the way when she left college and returned to her small hometown to care for her sick mother. Years later, she is passed over for a promotion, and betrayed by her boyfriend and her best friend. Heartbroken, she makes the first impulsive decision of her conventional life–which changes everything. Beauchamp Hall reminds us to follow our dreams. . . You never know what magic will happen!